CLEARANCE PRODUCT! 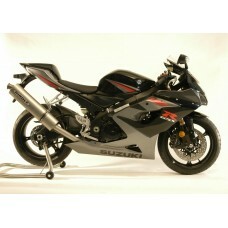 Stainless steel slip-on adapter for the 2002-2003 Kawasaki ZX-9R. This slip-on adapter mid-pipe will replace the stock mid-pipe, but keep the stock exhaust front section. US Customers: please contact us directly at (905) 985-6111 or info@hindle.com to order. CLERANCE PRODUCT! 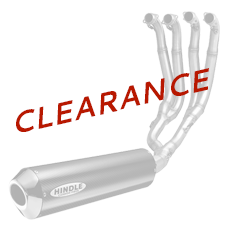 Our Hindle Exhaust Stainless Steel slip-on for the 2002-2006 Honda RC51 retains the dual exhaust look, but eliminates the stock mid-pipes and mufflers and replaces them with the Hindle mid-pipes and your choice of mufflers. Save weight, get great sound and change up your look to something more stylish. CLEARANCE PRODUCT! Our Hindle Exhaust Stainless Steel High Mount slip-on for the Honda 1100 Blackbird retains the dual exhaust look, but eliminates the stock mid-pipes and mufflers and replaces them with the Hindle mid-pipes and your choice of mufflers. Save weight, get great sound and change up your look to something more stylish. Clearance Product! Our Hindle Exhaust Stainless Steel slip-on for the Honda RC51 retains the dual exhaust look, but eliminates the stock mid-pipes and mufflers and replaces them with the Hindle mid-pipes and your choice of mufflers. Save weight, get great sound and change up your look to something more stylish. CLEARANCE PRODUCT! Stainless steel slip-on adapter for the 2000-2001 Kawasaki ZX-9R. This slip-on adapter mid-pipe will replace the stock mid-pipe, but keep the stock exhaust front section. CLEARANCE PRODUCT! Hindle Exhaust SPECIAL EDITION Slash Cut Exhaust for the 2006-2010 Suzuki GSX-R600/750. This system includes the muffler. CLEARANCE PRODUCT! 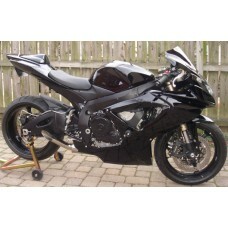 Hindle Exhaust Full System for the 2000-2005 Suzuki GSX-R750. Makes great power, super lightweight stainless steel construction and amazing sound. CLEARANCE PRODUCT! 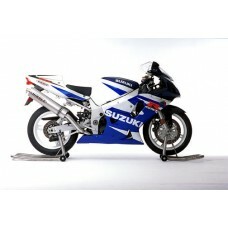 Hindle Exhaust Full System for the 1996-1999 Suzuki GSX-R750. Makes great power, super lightweight stainless steel construction and amazing sound. CLEARANCE PRODUCT! High mount front section for the 1996-2003 Kawasaki ZX-7R. Available in a high mount only, which mounts the muffler up higher near the tail section. The system includes a passenger foot peg spacer kit which will allow you to keep the passenger foot peg. CLEARANCE PRODUCT! Hindle Exhaust Full System for the 2001-2005 Suzuki GSX-R600. Makes great power, super lightweight stainless steel construction and amazing sound. CLEARANCE PRODUCT! 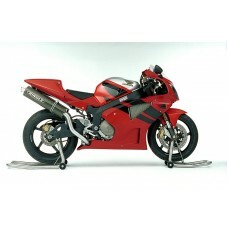 Low mount front section for the 1990-2000 Kawasaki ZX-11C/D. The low mount keeps the muffler in the original stock position. Please note: this is a left exit system and requires a left side muffler. Choose the muffler finish and style that best suits you and your bike. CLEARANCE PRODUCT! If you're on the hunt for a system for your 1991-1998 Honda F2/F3, well look no further! We still have a few of these classic systems in stock and at a great price. CLEARANCE PRODUCT! 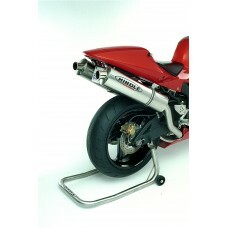 Hindle Exhaust Full System for the 1997-2000 Suzuki GSX-R600. Makes great power, super lightweight stainless steel construction and amazing sound. CLEARANCE PRODUCT! If you're on the hunt for a system for your 1999-2002 Honda F4, well look no further! We still have a few of these classic systems in stock and at a great price. Proven power, better sound and a huge weight reduction in comparison to stock, this system is perfect for the track or street. CLEARANCE PRODUCT! 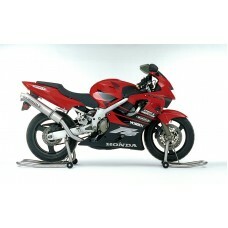 Hindle Exhaust Full System for the 2001-2006 Suzuki GSX-R1000. Makes great power, super lightweight stainless steel construction and amazing sound.